Former Chelsea star Ashley Cole is hopeful of signing a contract extension with Los Angeles Galaxy despite their lacklustre season in Major League Soccer. Fenerbahce will reportedly retain their interest in Arsenal outcast Jack Wilshere when the transfer window reopens in four months' time. Jack Wilshere close to Trabzonspor move? Arsenal midfielder Jack Wilshere has reportedly emerged as a loan target for Turkish club Trabzonspor. The 25-year-old is currently in the final year of his Gunners contract. England international Jack Wilshere reportedly turned down a lucrative contract from Birmingham City in order to stay put with Arsenal. Championship club Birmingham City have secured the services of Arsenal pair Carl Jenkinson and Cohen Bramall on season-long loan deals, Sky Sports News reveals. Brighton and Hove Albion will continue their attempts to strengthen for the Premier League season by making a loan offer for Lille striker, Eder, who famously scored the winning goal for Portugal in the Euro 2016 final. Birmingham manager Harry Redknapp was keen on a move for Robbie Keane but the forward officially completed his move to two-time Indian Super League champions Atletico de Kolkata. With ambitions of pushing for promotion in the upcoming Championship season, Birmingham City manager Harry Redknapp is lining up a move for three former Premier League and international stars to add to his squad. Birmingham City manager Harry Redknapp is plotting an attempt to sign former Chelsea defender Ashley Cole as he looks to build a squad capable of pushing for Premier League promotion. Former Tottenham Hotspur and Liverpool striker Robbie Keane is interested in a return to England and in particular Birmingham City, which would see him reunite with one of his former managers, Harry Redknapp. Birmingham City boss Harry Redknapp has confirmed that he has approached to sign former Chelsea defender John Terry this summer. Robbie Keane to Birmingham City? Birmingham City boss Harry Redknapp is reportedly eyeing a reunion with Robbie Keane, who is a free agent after his release from LA Galaxy in December last year. 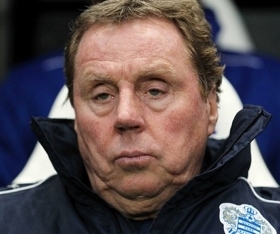 After taking charge of a relegation threatened Birmingham City with three games left to play, Harry Redknapp was able to guide The Blues to Championship safety. Now, the former Tottenham Hotspur manager has agreed to sign a one year deal with the St Andrews club. Sunday sees the final day of the 2016/17 English Championship, which will see a big name in English football drop into the third tier. Rotherham United and Wigan Athletic have already been relegated, and either Blackburn Rovers, Nottingham Forest or Birmingham City will be joining them. Harry Redknapp returned to football management on Sunday, with his first game in charge of Birmingham City against bitter local rivals Aston Villa at Villa Park. Harry Redknapp has made a return as a football manager, taking over Birmingham City following the resignation of Gianfranco Zola on Monday. The former Tottenham Hotspur manager has a big task on his hands as the club are battling against relegation from the Championship. Harry Redknapp to takeover Middlesbrough role? Harry Redknapp is reportedly eyeing a return to management with the vacant Middlesbrough job up for grabs. The 70-year-old last coached Jordan for their World Cup qualifiers last year. Former Tottenham Hotspur boss Harry Redknapp feels Arsenal should make a move for Manchester United captain Wayne Rooney at the end of the season. England exited Euro 2016 last night following a humbling 2-1 defeat to competition minnows Iceland. In the aftermath of the political turmoil engulfing the country at present, English football now finds itself in similar disarray with the swift announcement by Roy Hodgson that he was stepping down from his role as Head Coach. Newcastle United lining up new manager? Newcastle United are reportedly considering Steve McClaren's future following a dismal start to the league campaign.